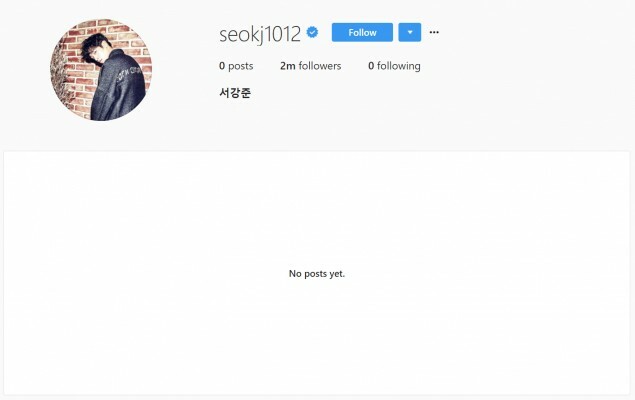 Actor Seo Kang Jun has cleared out his Instagram. The reason is so far unknown, but the actor has deleted all the photos from his Instagram (most of which were of his cats). Some fans think he might have gotten hacked.